Is your mortgage coming up for renewal this year? Did you know that the time of your mortgage renewal is a great time to reduce your debt and to make sure that your mortgage is the most affordable for you? 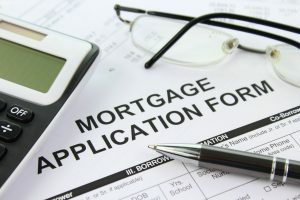 Most lenders notify you well in advance before your mortgage renews, so you will have plenty of time to get your facts organized and to do any necessary legwork before you re-sign your mortgage contract. Be proactive months before your renewal date. When your mortgage comes up for renewal, your contract is also up for renewal, which means that you should shop around for the best rate and all around deal. This could mean staying with your current lender or shopping around if rates and features are better. As a rule of thumb, get rate quotes from a few different lenders, just so you’ve got something to negotiate with. As long as your credit history is in good standing and your repayment history with your mortgage is in good standing, you can often negotiate your interest rate. After years of ultra-low interest rates, there were two rate hikes in 2017. It’s likely that 2018 will see some rate hikes too. Knowing that rates are on their way up, it makes sense to get a rate guarantee as far in advance as you can. Most lenders will give you a rate guarantee about four months in advance, but some may go even longer. If you don’t know already, research all the features and benefits of your mortgage. Make sure that your mortgage features match your goals, and if not, considering shopping around for a new one. How much are you allowed to prepay each year, without penalty? Are you allowed to pay whenever you like, or does it have to be in a lump sum payment? Are there other penalties? Are you entitled to enact a “miss a payment” option on occasion? To reduce your debt load, save some money in the months before your renewal and put it down on your mortgage. This reduces your principal as well as your interest costs.